Is the digital transformation of MedTech companies a choice or a necessity? Will 2019 see medical technology (MedTech) companies begin to digitally transform their strategies and business models to improve their commercial prospects? We describe some of the changing market conditions that drive such transformations. We also briefly report the findings of two research papers on corporate digital transformations published in recent editions of the Harvard Business Review. These suggest that there are two “must haves” if company transformations are to be successful: leadership with the appropriate mindset and access to talented data scientists. MedTech is a large growing industrial sector (see below), which has benefitted significantly from the bull market in equities over the past decade but is one of the least equipped to prosper over the next decade in a radically changing healthcare ecosystem and a more uncertain global economy. For the past decade equity markets have outperformed global economic growth and protected a conservative, production-orientated business-as-usual mindset in MedTech C-suites and boards of directors. This has made organizations either slow or reluctant to transform their strategies and business models, which define how they create and capture value. As we enter 2019 the protection that the MedTech industry enjoyed for years has been weakened by more uncertain markets, the tightening of monetary policy, slower global economic growth and disruptive technological change. In this new and rapidly evolving environment MedTech markets are expected to continue growing but at a slower rate, operating margins are expected to decline as unit prices erode and companies will no longer be able to earn premium margins by business-as-usual strategies. Building a prosperous organization in a more uneven future is an important challenge facing MedTech leaders and will require a significant shift in their mindset and the talent they engage and develop. MedTech represents a significant sector of global healthcare, which has been relatively stable for decades. It has a market size of some US$430bn and has consistently experienced high margins and significant sales growth. For example, over the past decade the sector has grown at an annual compound growth rate of about 5%, with operating margins between 23% and 25%. The sector includes most medical devices, which prevent, diagnose and treat diseases. The most well-known include in vitro diagnostics, medical imaging equipment, dialysis machines, orthopaedic implants and pacemakers. The US and Western Europe are established centres for the sector, but trends suggest that China and India will grow in significance over the next decade. The sector is dominated by about 10 giant companies, which account for nearly 40% of the global market in sales revenues. All MedTech companies have significant R&D programs and the global spend on R&D is expected to grow from US$27bn in 2017 to US$34bn by 2022. An indication of how far developments in medical technology have come is robot-assisted surgery, which employs artificial intelligence (AI) for more precise and efficacious procedures. Robot-assisted surgery is expected to become a US$13bn global market by 2025. In the US the repeal of the medical device excise tax was not included in the recent tax reform. The industry believes the tax has a negative impact on innovation, and the rate of R&D spending by US MedTech companies is expected to fall by 0.5% over the next five years. For the past decade a substantial proportion of MedTech companies either have resisted or been slow to transform their strategies and business models despite increasing pressure from rapidly evolving technologies, changing reimbursement and regulatory environments and a chorus of Industry observers calling for MedTech companies to become less product-centric and more solutions orientated. This reluctance to change can be explained by a bull market in equities, which began in March 2009, outperformed economic growth, delivered some of the best risk-adjusted returns in modern market history and encouraged a conservative mindset among corporate leaders, who were reluctant to change and developed a “if it’s not broken why fix it” mindset. Because the MedTech sector has been stable for years, established players have been able to compete successfully across the device spectrum, applying common business models and processes without much need for differentiation. MedTech’s strategy has been to market high priced sophisticated product offerings in a few wealthy regions of the world; mainly the US, Western Europe and Japan, which although representing only 13% of the world’s population account for more than 86% of the global MedTech market share (US: 42%, Europe: 33%, Japan: 11%). It seems reasonable to assume that in the future, as markets become more turbulent and uncertain, this undifferentiated strategy and business model will need to transform into ones that are far more distinctive and proprietary. MedTech’s principal adjustment to market headwinds over the past decade has been to increase its M&A activity rather than transform its strategies and business models. M&A’s increased companies scale and leverage, drove stronger financial performance, allowed companies to obtain a broader portfolio of product offerings and increased their international footprints. Some recent high-profile examples of M&A activity in the sector include Abbott’s acquisition of St. Jude’s Medical in January 2017, which led to Abbott holding some 20% of the US$40bn global cardiovascular market. Johnson & Johnson’s US$4bn buyout of Abbott Medical Optics Inc in February 2017, and the “mother of all M&A activity” was Becton Dickinson’s 2017 acquisition of C.R. Bard for US$24bn, which is expected to generate annual revenues of US$15bn. According to a January 2018 McKinsey report between 2011 and 2016, 60% of the growth of the 30 largest MedTech companies was due to M&A’s, and between 2006 and 2016, only 20% of 54 pure-play publicly traded MedTech companies, “mostly relied on organic growth”. As MedTech leaders return to their desks in early 2019 after the worst December in stock market recent memory, they might begin to reflect on their past all-consuming M&A activity, which resulted in bigger but not necessarily better companies. After such a prolonged period of M&A’s, there is likely to be a period of portfolio optimization. Divestitures and spin-outs allow companies to capture additional value by improving capital efficiency, reducing operational complexity and reallocating capital to higher-growth businesses as the industry invests more in R&D to develop innovative product offerings that demonstrate value in an increasing volatile era and increasing price pressures. But divestitures are not necessarily changing strategies and business models, so MedTech’s vulnerabilities remain. It is too early to say whether “Black December 2018” represents the end of the longest equity market bull-run in recent history, but it is worth noting that on Friday 21st December the Nasdaq composite index closed at 6,332.99, which was a drop of 21.9% from an all-time high of 8,109.69 on August 29th. The generally accepted definition of a bear market is a drop of at least 20% from a recent peak. World markets followed Wall Street. Japan’s Topix Index fell to its lowest level for 18 months and the pan European Stoxx 600 Index hit a two-year low. However, seasoned market observers suggest that although the average bull market tends to last for about 10 years, it does not simply die of old age, and the December 2018 market behaviour is consistent with a “maturing cycle” in which there is still room for stocks to grow. This note of optimism could encourage a continuation of a “business-as-usual” mindset in MedTech C-suites and boards of directors. The outlook for the global economy in 2019 does not bring any comfort. In October 2018 the International Monetary Fund lowered its forecast for global economic growth for 2019, from 3.9% to 3.7%; citing rising trade protectionism and instability in emerging markets. In September 2018 the Organisation for Economic Cooperation and Development (OEDC) suggested that economic expansion may have peaked and projected global growth in 2019 to settle at 3.7%, “marginally below pre-crisis norms with downside risks intensifying.” The OECD also warned that the recovery since the 2008 recession had been slow and only possible with an exceptional degree of stimulus from central banks. And such support is ceasing. Global monetary policy is tightening as central banks retreat from their long-standing market support. After four years of quantitative easing (QE) the European Central Bank (ECB) has ended both its money printing program and its €2.6trn bond purchasing program. The Bank has done this just as the Eurozone growth is cooling and Europe seems to be destined for a slow relative decline, which raises concerns about the sustainability of the single currency area. Notwithstanding, some observers suggests that for the next few years capital can be reasonably safely deployed in the beer-drinking nations of northern Europe, but not in the wine-drinking countries of southern Europe; especially France and Italy, two countries at the centre of the Eurozone’s current challenges. France’s budget deficit exceeds that permitted by the EU and in the latter part of 2018 the nation’s anti-government gilets jaunes demonstrators led to President Macron promising more welfare spending than the nation can afford. This could suggest that France is on the cusp of an Italian-style debt crisis. Although these economic trends have been telegraphed for some time, after nearly a decade of a bull market and low interest rates, there seems to be some complacency in the equity markets about the risks from higher rates and elevated corporate debt. But this sentiment is expected to change in 2019. This more uncertain global economic outlook, heightened US-China tensions, tighter monetary policy and a maturing global business cycle together with significantly changed and evolving healthcare ecosystems suggest that transformation of MedTech strategies and business models is no longer a choice but a necessity if they are to maintain and increase their market positions over the next decade. 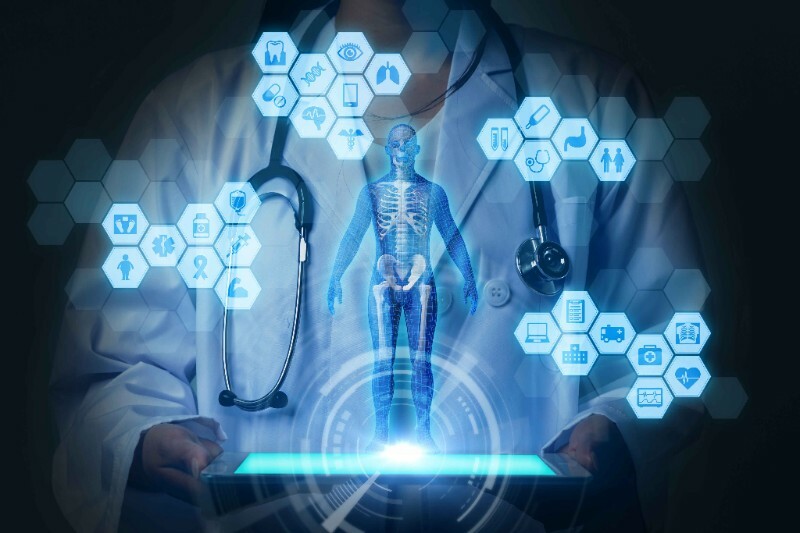 A challenge for many MedTech companies is that they still work on dated and inappropriate systems or hierarchical processes, and too few leaders and board members fully comprehend the speed and potential impact of advanced digital technologies. Those organization with some appreciation of this are already looking to adjacent sectors for talent and knowhow that could help them evolve their strategies and business models. But such partnerships might not be as efficacious as expected. We explain why below. Let us turn now to consider digital transformations. Data scientists and machine learning engineers are critical to any digital transformation. One significant challenge for companies contemplating such change is talent shortage, which disproportionately affects companies not use to dealing with such talent. Data scientists are aware of their scarcity value and they tend not to work in IT silos of traditional hierarchical organizations but prefer working for giant tech companies in devolved networked teams, focusing on projects that interest them. Companies that fail to engage talented data scientists will be at a disadvantage in any digital transformation. Mindful of such challenges some MedTech companies are beginning to partner with start-ups and smaller digitally orientated companies. But this is not necessarily an answer because talent shortage also affects start-ups. The answer lies in understanding how giant tech companies recruit talented individuals. Companies like Google and Facebook are more interested in “tech savvy” individuals and less interested in formal qualifications. They tend to catch such talent with attractive internships when they are seniors in high school and juniors at university. These companies understand digital technology and have seen enough interns that they can correlate their performance on coding tests and technical interviews with their raw ability and potential rather than relying on formal qualifications as a proxy for skill. Future MedTech leaders will not only need to have a deep knowledge of disruptive digital technologies and AI systems, but will need to have the mindset of an “inclusive networked architect” with an ability to create and develop learning organizations around diverse technologies with dispersed talent. Traditional hierarchical production mindsets, which have benefitted from business-as-usual for the past decade are unlikely to be as effective in an environment which is experiencing the impact of a significant and rapid shift in technological innovation. Sensors, big data analytics, AI, real-world evidence (RWE), robotic and cognitive automation are converging with MedTech and encouraging companies to pivot from being product developers to solution providers. This requires leaders with mindsets that reward value instead of volume and are agile enough to meet increasing customer expectations, whether those customers are payers, providers or patients. Without leaders with informed, forward-thinking mindsets, enthused about new models of organizational structures, culture and rewards that provide greater autonomy to talented teams and individuals, MedTech companies could remain at a disadvantage in competing with other technology companies for similar talent and expertise. Future MedTech leaders must understand how work is being redefined and the implications of this for talented individuals and devolved networked teams. It seems reasonable to assume that future MedTech leaders will be generalists: executives with more than one specialism with an ability to breakdown silos and bridge knowledge gaps across organizations and develop new models of organizational structure, culture, and rewards. We have focused on digital transformation of traditional companies as a means for them to prosper in radically changing market conditions. Although there has been a number of successful corporate digital transformations there has also been a significant number of failures. Understanding why some succeed and some fail is important. One notable successful digital transformation is Honeywell, a Fortune 100 diversified technology and manufacturing company, which overcame threats from market changes and disruptive digital technologies by transforming its strategies and business models. In 2016, Honeywell’s Process Solutions Division, a pioneer in automated control systems and services for the oil, gas, chemical and mining industries, set up a new digital transformation unit to assist its customers to harness advantages from the Internet of Things (IoT) by increasing their connectivity to an ever-growing number of devices, sensors and people in order to improve the safety, reliability and efficiency of their operations. The Unit’s primary focus is on outcomes, such as reducing costs and enabling faster and smarter business decisions. Honeywell’s IoT platform called Sentience, is considered a toolkit to collect, store and process data from connected assets, offering services to analyse these data and generate insights from them to enable data-based, value-added services. Unlike similar platforms developed by Siemens and General Electric (GE), Honeywell does not sell their platform as an app, but markets data-based services predicated on its platform, which enable its customers to optimize the performance of their connected assets and improve overall production efficiency. Other corporations that have set up similar transformation units to harness the benefits of disruptive technologies include Hitachi, Hewlett-Packard, SAP and UPS. Perhaps the biggest digital transformational failure is General Electric (GE). In 2011, the then CEO Jeff Immelt became an advocate for the company’s digital transformation. GE created and developed a significant portfolio of digital capabilities including a new platform for the IoTs, which collected and processed data used to enhance sales processes and supplier relationships. Immelt suggested that GE had become a “digital industrial company”. The company’s new digital technology reported outcomes of a number of indices, which over time improved and attracted a significant amount of positive press. Notwithstanding, activist investors were not so enamoured, GE’s stock price languished, Immelt was replaced and the company’s digital ambitions came to a grinding halt. Other notable corporates, which tried and failed to harness the commercial benefits from disruptive technologies include Lego, Nike, Procter & Gamble and Burberry. According to a paper published in the March 2018 edition of the Harvard Business Review there are four reasons why digital transformations fail. Paying insufficient attention to legacy business. “The allure of digital can become all-consuming, causing executives to pay too much attention to the new and not enough to the old”. Business history has shown that large and established companies, which fail to respond to disruptive technologies in a timely and appropriate fashion can fail and disappear. Notable examples include America Online, Barnes & Noble, Borders, Compaq, HMV, Kodak, Netscape, Nokia, Pan Am, Polaroid, Radio Shack, Tower Records, Toys R Us and Xerox. MedTech leaders might be mindful of Charles Darwin’s hypothesis, which he describes in his book, On the Origin of Species published in 1859. Darwin suggests that “in the struggle for survival, the fittest win out at the expense of their rivals because they succeed in adapting themselves best to their environment”. Such a statement would not be out of place in a modern boardroom. It suggests that all industrial sectors need to develop to keep abreast of innovations and evolving trends. The main difference is that Darwin’s natural selection processes take millions of years, while significant changes that effect commercial businesses can take a matter of months. Can Western companies engage with and benefit from China? Previously we described how Beijing had offered Western companies a ‘poisoned challis’: either localize your value chain and help China achieve its goals to dominate key industries globally or be progressively squeezed out of markets. Washington responded by levying punitive tariffs on products manufactured in China and marketed in the US in an attempt to force Beijing to change. China hit back, cross fire ensued, more US tariffs were levied, markets became nervous and a ‘flight for liquidity’ seems a possibility. This is when equity players become nervous about uncertainties in markets and move their investments into more liquid securities in order to increase their ability to sell their positions at a moment’s notice. To some observers the current trade conflict between the world’s two largest trading nations must seem like Stanley Kramer’s 1952 epic ‘High Noon” movie. The difference being the 2018 showdown could affect the lives of billions and threaten the global economy. The fact that the world can be brought to such a position in such a short time is partly due to a profound lack of understanding and cultural differences between Washington and Beijing and vice versa. The differences manifest themselves as: (i) competition versus harmony, (ii) short-termism versus long-termism, (iii) tactics versus strategy and (iv) nationalism versus globalism. These differences pervade organizations, institutions and mindsets in the respective regions. This Commentary is divided it into 3 parts. Part 1: China’s penetration of emerging markets discusses the implications of China’s stated aim to become a major global high-end, knowledge-based economy and describes how, for the past three decades, the nation has been preparing for this by systematically upgrading its human capital. From a perceived position of strength Beijing suggested to Western companies seeking or increasing their franchises in China that unless they are prepared to localize their value chains, not only will they be squeezed out of the China market, but they will also encounter challenges in other large emerging markets as China’s presence and influence in these markets increase. This is significant because the world’s emerging economies are the growth frontiers of many high-tech industries. Part 2: China’s economic rise and its strategic objectives briefly describes China’s phenomenal transformation from a centrally managed economy to the world’s second largest economic power and a significant commercial partner of the US. We provide glimpses of some aspects of China’s recent history in order to convey the scale of its industrial reforms and its well-resourced, central government-backed long-term strategies to establish China as a world leader in knowledge-based high-value industries. We describe China’s planned slowdown of its economy and how Beijing is systematically upgrading its human capital. Indicative of China’s increasing trading prowess are its new technology companies. We describe three, which are likely to have a significant global impact in the next 5 years. We conclude part 2 with a description of the Pearl River Delta, China’s high tech production hub, in order to provide further insights into China’s achievements, the nature and scale of its projects to upgrade its economy and the thinking that drives China’s economic transformation. Part 3: China’s ‘Belts and Road’ (B&R) initiative. B&R is a bold ‘neo colonialist’ initiative to build a 21st century ‘Silk Road’ of infrastructure and trade-links between China and Eurasia. This is expected to stimulate trade, economic growth and domestic employment in some of the least developed regions of the world, which have suffered from post-colonial decline and are neglected by the West. Beijing expects that the B&R project will position China at the centre of a newly formed global trading network. We review some of the concerns raised by the R&D initiative including China's increasing exposure as a principal creditor to economically weak nations. This, together with China's mounting debt, presents Western companies with a dilemma: China is too big to be ignored but its structural weaknesses could be damaging. Made in China 2025 (MIC25) incentivizes Chinese enterprises to develop their competences and capacities in order to respond to the pivotal needs of global customers to reduce costs while maintaining value by providing affordable quality product offerings. It also encourages Chinese companies to become ‘global champions’ and help China establish itself as a dominant international force in knowledge-based technologies of the future. As a result, Chinese companies are successfully taking share of key segments in emerging markets. So, Beijing’s industrial strategies not only increase the challenges for Western companies in China, but also provide potential barriers for them to penetrate and increase their franchises in other large emerging markets such India and Brazil, which are the future growth frontiers. Beijing’s well-resourced strategies to transition China from a manufacturing-based economy to a high-end, innovation-driven, knowledge-based economy could not be achieved without a significant supply of relevant human capital. It is instructive that for the past three decades China has been systematically upgrading its human capital, while Western nations have not been doing so at a similar pace. According to the World Economic Forum, China has committed massive resources to education and training. In 2016 China was building the equivalent of one university a week and graduated 4.7m citizens, while in the US 568,000 students graduated. In 2017, there were 2,914 colleges and universities in China with over 20m students. The US had 4,140 with over 17m students enrolled. Significantly, between 2002 and 2014 the number of students graduating in science and engineering in China quadrupled. In 2013, 40% of all Chinese graduates completed a degree in science, technology, engineering or mathematics (STEM), whilst in the US only 20% of its graduates did so. In addition to China producing more STEM graduates than either the US or Europe, which are vital for high-tech knowledge-based industries of the future, the gap between the top Chinese and US and European graduates is widening. Projections suggest that by 2030 the number of 25 to 34-year-old graduates in China will increase by a further 300%, compared with an expected rise of around 30% in the US and Europe. This represents a substantial shift in the world's population of graduates, which was once dominated by the US, and gives China a potential competitive edge in high-tech growth industries of the future. Further, US students struggle to afford university fees. Many American colleges and universities are struggling financially and as a consequence actively recruiting foreign students. In recent years, the number of Chinese students admitted to US universities has increased significantly. In 2017 for instance, some 350,000 Chinese students were recruited. Most graduates return to China with quality degrees. European countries have put a brake on expanding their universities by either not making public investments in them or restricting universities to raise money themselves. Supporting this competitive edge is China’s world-beating performance of its 15 and 16-year-olds. According to an internationally recognised test, Shanghai school children are the best in the world at mathematics, reading and science. Every three years 0.5m students aged 15 and 16 from 72 countries representing 80% of the global economy sit a 2-hour examination to assess their comparative abilities in these three subjects. The examination, called the Program for International Student Assessment (PISA), is administered and published triennially by the Organisation for Economic Co-operation and Development (OECD). When the 2009 and 2012 PISA scores were released they created a sensation, suggesting that students in Shanghai have significantly better mathematics, reading and science capabilities than comparable students in any other country. Although these scores have been contested, and the most recent test scores suggest Shanghai students have slipped down the rankings, in the 2012 tests Shanghai students performed so well in mathematics that the report compared their scores to the equivalent of nearly three years of schooling above most countries. Human capital strategies in China, the US and Western Europe are all challenged by aging populations. According to the United Nations, China’s population is ageing more rapidly than any country in recent history. America’s 65-and-over population is projected to nearly double over the next three decades, rising from 48m to 88m by 2050. The UK’s population also is getting older with 18% aged 65-and-over and 2.4% aged 85-and-over. In 2014, 20% of Western Europeans were 65 years or older and by 2030 25% will be that age demographic. Many Western MedTech companies are late-bloomers in emerging markets. This can partly be explained by the two decades of economic growth the industry experienced from developed markets and the continued buoyancy of the US stock market. Thus, Western MedTech companies have felt little pressure to adjust their strategies and business models and venture into territories committed to “affordable (low priced) medical devices”. Beijing seems determined to take advantage of this and Chinese companies are increasing their share of large fast growing and underserved emerging markets by: (i) increasing their innovative go-to-market strategies and (ii) making sure they “localize” their product offerings. We briefly describe these two strategies. According to OEDC data, between 2000 and 2016 China doubled its R&D investment to 2% of GDP, which is more than the EU but less than America. In 2016, the US spent 2.7% of its GDP on R&D, which is more than any country. Individual Chinese domestic companies are also increasing their investments in R&D as part of their growth strategies. For instance, over the past decade, Mindray, China’s largest MedTech company has spent more than 10% of its annual revenues - currently US$1.7bn - on R&D. The company has a large R&D team of over 1,400 located in 2 centres: 1 in Mahwah, China and another in Seattle, USA. BGI, China’s largest manufacturer of next-generation gene-sequencing equipment, devotes more than 33% of its revenues to R&D, double that of its US competitor Illumina. In aggregate, however, Chinese companies are a long way behind their Western counterparts when it comes to R&D spending. High-tech companies require supercomputers to assist with their R&D and innovative strategies. These are powerful and sophisticated machines with enormous processing power, which can support medical and scientific R&D. According to an internationally recognised ranking, which has been conducted biannually by leading scientists since 1993, China leads the world with its installed-base of supercomputers. China has 206 and America has 124. In 2000 China had none. The most recent rankings show that the US has regained the top performance position from China with an IBM-system-backed supercomputer now running at the US Department of Energy’s Oak Ridge National Laboratory. Although the US maintains a lead in scientific breakthroughs and their industrial applications, innovation is increasing in China. The number of invention patent applications received by China in 2016 was 1.3m, which was more than the combined total from the US (605,571), Japan (318,381), South Korea (208,830), and the EU (159,358). Patents from these five countries accounted for 84% of the world total in 2016. Emboldened by enhanced processing power, increased patents, greater R&D capacity and improved capabilities, Chinese MedTech companies are increasingly represented across a broad spectrum of high-end medical technologies and have made significant inroads into emerging markets. Some manufacture Class III product offerings such as orthopaedic implants and are beginning to compete in medium-level technology markets in Brazil, India, Japan and the UK. For instance, SHINVA markets its linear accelerators globally. Sinocare is #6 in the global market for blood glucose monitoring devices. In 2008 Mindray paid US$200m to acquire the patient monitoring business of US company Datascope, making it the third-largest player by sales in the global market for such devices. Also, Mindray has increased its share of the ultrasound imaging market to 10%, behind GE and Phillips. MicroPort broke onto the world stage in early 2014 when it acquired Wright Medical’s orthopaedic implant business for US$290m. In 2015 China overtook Germany to become Japan’s second largest supplier of MRI devices, behind the US, and Biosensors International is among the largest suppliers of drug-eluting stents in France, Germany, Italy, Spain and the UK. Mindray, which positions itself as a world-class MedTech solutions company, has established a significant presence in India where it has built local operations, tailored its line of affordable high-quality patient monitoring, ultrasound and in vitro diagnostic devices to address India’s unmet needs, hired local engineers and operators and built a local marketing and sales team, which provides a 24-7 customer service. Mindray has understood that many of the factors, which drive China’s MedTech market growth are mirrored in India and other rapidly growing emerging markets that share a similarly high disease burden, aging demographics and a desire to reduce healthcare costs. Mindray was one of China’s earliest MedTech companies to list in New York in 2006. However, the company felt its shares were undervalued and privatized in 2016 in a deal, which valued the company at US$3.3bn. A funding round shortly after its delisting valued Mindray at US$8.5bn. The company employs over 8,000 and its 2017 revenues were US$1.7bn. The attraction of India to MedTech companies is easy to understand. India’s MedTech market is the 5th largest in the world and could rival that of Japan and Germany in size by 2022 if it continues its 17% annual growth. Although India mainly has been an out-of-pocket healthcare market this is changing. In September 2018, the Indian government launched one of the world’s largest publicly funded health insurance schemes, which will provide some 0.5bn poor people with health cover of US$7,000 per year (a sizable sum in India) for free treatment of serious ailments. India’s medical device markets, like those of China’s, will benefit from this, but also from the country’s large and growing middle class with relatively high disposable incomes in an economy growing at around 7 to 7.5% annually. In 2016 India’s middle class was estimated to be 267m - 83% of the total population of the US - and projected to increase to 547m by 2025. Further, India has a large and growing incidence of lifetime chronic diseases, which expands the need for medical devices. Between 2009 and 2016, China emerged as India’s 3rd largest supplier of medical devices (behind the US and Germany) and is currently India’s leading provider of CT scanners, representing 50% of the US$69m that India spent on imports of these high-tech devices during 2016. India’s orthopaedic devices market is estimated to be around US$375m and is projected to grow at about 20% each year for the next decade to reach US$2.5bn by 2030. In contrast the global orthopaedics industry is estimated to grow at 5% annually. China is positioned to increase its share of MedTech markets in India and other emerging countries. This suggests that unless Western companies are prepared to transform their strategies and change their business models similar to what Medtronic and GE Healthcare have done, they will not only be squeezed out of the China market but shall encounter challenges to penetrate and increase their franchises in other large emerging MedTech markets. This is significant because the world’s emerging economies are the growth frontiers of the MedTech industry. “How long can China sustain its rise?”. We broach this question in the next two parts of this Commentary. Here in Part 2, we describe some relevant aspects of China’s recent commercial history, its success in producing high tech global companies and we also provide a glimpse of its urban communities for creating and developing companies of the future. It was not until the early 1980s, after the death of Mao Zedong in 1976, that China started to dismantle its centrally planned economy and began implementing its free market reforms and opened its economy to foreign trade and investment. Shortly afterwards China: (i) became the world’s fastest growing market-based economy with real annual GDP growth averaging 9.5% through 2017, (ii) lifted 800m citizens out of poverty and (iii) overtook Japan to become the world's second largest economy. By 2010 China had become a significant commercial partner of the US and is now America’s largest merchandise trading partner, its biggest source of imports and America’s third largest export market. Also, China holds US$1.7trn of US Treasury securities, which help fund the federal debt and keep US interest rates low. It is worth noting that China has a long history dating back more than 2,000 years BC. In more recent times, Adam Smith the father of modern capitalism, described China in The Wealth of Nations (1776) as a country which is, “one of the most fertile, best cultivated, most industrious, most prosperous and most urbanized countries in the world”. Over the past decade China’s economy has matured and Beijing has managed a planned slowdown of its growth rate to what it calls the “new-normal”. In 2017 China’s GDP was 6.9% and is projected to fall to 5.6% by 2022. The orchestrated slowdown is less based on fixed investment and exports and more on private consumption of China’s large and growing middle class, enhanced services and innovation. A previous Commentary described Beijing’s Made in China 2025 (MIC25) initiative and other policies, which prioritised innovation and the systematic upgrading of its domestic industries whilst decreasing its reliance on foreign technology. This is essential for China to avoid a ‘middle income trap’, which happens when nations achieve a certain level of economic growth, but then begin to experience diminishing returns because they are unable to restructure their economies to embrace new sources of growth. An example of China’s ability to upgrade its economy and avoid a middle-income trap is its new technology companies, which are positioned to have significant global roles in the next five years. We briefly describe three: Baidu, Alibaba and Tencent: collectively referred to as BAT. Baidu, is a Chinese language Internet search provider incorporated in 2000, which has grown to become the world’s 8th largest internet company by revenue. It has a market cap of US$80bn, annual revenues US$13bn and has the world’s largest Internet user population of about 800m. Alibaba, was founded in 2000 as a business-to-business (B2B) portal connecting Chinese manufacturers to overseas buyers. Today, the company is a multinational conglomerate with a market cap in excess of US$500bn and annual revenues of US$13bn. It is the world’s largest e-commerce company in terms of gross merchandise volume (GMV). For the fiscal year ended March 31, 2017, Alibaba had a GMV of US$0.43trn and 454m annual active buyers on its marketplaces. Alibaba’s long-term vision is to become a global company providing solutions to real world problems and using e-commerce to help globalization by making trade more inclusive. The company expects GMV to reach US$1trn by 2020, and to serve 2bn consumers(one-third of the world’s total population)and to support the profitable operation of 10m businesses on its platforms by 2036. Alibaba is sometimes referred to as the "Amazon of China," but the company’s founder Jack Ma suggests there are differences. "Amazon is more like an empire: everything they control themselves. Our philosophy is be an ecosystem”, says Ma. Tencent, founded in 1998, has become a multinational investment holding corporation with a market cap of US$556bn, annual revenues of US$22bn and specializes in various internet-related services, entertainment, AI and technology. Tencent has its HQs in Shenzhen, a megacity in the Pearl River Delta, which is China’s hub for high tech production. We briefly describe the delta to further show the progress China has made in transforming its economy. In the early 1980s the Pearl River Delta was primarily an agricultural area and Shenzhen was an unassuming town of about 30,000 (now 13m). The delta witnessed the most rapid urban expansion in human history to become the world’s largest urban area in both size and population by 2015, with more inhabitants than Argentina, Australia or Canada. Today the Pearl River Delta has a population of 120m and a GDP of US$1.5trn - growing at 12% per year - which is greater than that of Indonesia and equal to 9.1% of China’s output. Land, sea and air infrastructure serving the delta is state of the art. For example, the delta has six airports; three of which are international air hubs. In 2016, the passenger traffic of Baiyun Airport in Guangzhou (population 15m) surpassed 60m and the volume of freight it handled was over 2m tonnes. In the same year passenger traffic at Shenzhen (population 13m) airport was in excess of 42m and the volume of freight it handled was over 1m tonnes. This compares favourably with JFK and Newark Liberty airports. In 2017 both airports set records with more than 59m and 43m passengers respectively. Part of the delta’s infrastructure is the new Hong Kong-Zhuhai-Macau Bridge, which spans 34 miles (55klm), crosses the waters of the Pearl River and connects Hong Kong with Macao. It is the longest sea-crossing bridge ever built and has a section that runs for seven kilometres in a submarine tunnel that passes four artificial islands. Its construction cost US$16bn, which is part of a US$30bn plan announced in 2009 to develop an infrastructure network to connect the nine cities in the delta so that collectively they would become the largest contiguous urban region in the world, which was achieved in 2015. One of the infrastructure goals is to reduce travel time between the nine cities and Hong Kong and Macao to one hour from any which way. The Pearl River Delta is the most southern of three major Chinese coastal growth areas. In the middle is the Yangtze River Delta region, which includes Shanghai with a population of 130m and a GDP of US$2trn. To the north is the Beijing-Tianjin-Bohai corridor, covering 10 cities and has a population of 100m and a GDP of US$1.3trn. These three urban clusters account for 21% of China’s population and about 40% of its GDP. It is not only important to understand the changes in China within the context of its recent history, MIC25 and Beijing’s restructuring of its healthcare sector, but also against the backdrop of China’s ambitious “Belt and Road” (B&R) initiative. Unveiled by President Xi Jinping in September 2013, it has become the centre of Beijing’s ambitions for a new world order predicated upon a modern-day Silk Road connecting China by land and sea to Southeast Asia, Central Asia, the Middle East, Europe and Africa. It is a bold model of economic development, which Xi has called, “the project of the century”. The initiative is supported by the new Asian Infrastructure Investment Bank (AIIB) and the Silk Road Fund. Some estimates suggest that Beijing has already invested US$900bn in the project. Overall, it is expected to cost US$8trn and take three decades to complete. At its core are 6 economic corridors, which connect 65 countries, about 65% of the world’s population, involve some 40% of global trade and 33% of global GDP. The Bangladesh-China-India-Myanmar economic corridor links Kunming to Kolkata (Calcutta) via Mandalay and Dhaka to strengthen connections between China and various economic centres of the Gulf of Bengal in order to increase interregional trade by reducing non-tariff barriers. China’s B&R initiative is based upon an interpretation of colonialism, which is significantly different to Western interpretations. While Western nations struggle with a sense of guilt associated with their past colonial rule and feel responsible for the abject economic failure, widespread poverty and erosion of governance in post-colonial independent states, Beijing believes that there are lessons to be learned from colonialism, which are relevant today and necessary prerequisites to stimulate trade, economic growth and domestic employment. Beijing’s B&R initiative is best understood as a neo colonial strategy to strengthen China’s slowing economy, enhance its industrial capabilities and improve its geopolitical standing by driving economic growth in some of the least developed regions of the world, which are neglected by the West. China’s neo-colonialist policies are influenced by Singapore, an island city-state located in Southeast Asia off southern Malaysia. The country gained independence from Malaysia in 1965 and has become a global financial centre with a multicultural population and a multi-party parliamentary representative democracy with a President as head of state and a Prime Minister as the head of government. Although China is 14,000-times bigger than Singapore, has 1bn more citizens and its GDP is US$14trn compared to Singapore’s US$300bn; China views Singapore as an object lesson of political stability and prosperity predicated upon aspects of its colonial legacy, which Beijing believes can be replicated in under-developed regions of the world. These include basic infrastructure, improved administration, widened employment opportunities, female rights, expanded education, improved public healthcare, taxation, access to capital, independent judiciary, and national identity. Such factors China views as benefits of colonialism and necessary prerequisites for trade, economic growth and prosperity. Singapore has a colonial history, but today is a rich country with a GDP per capita of US$55,235, (higher than that of the US: US$53,128) and where Asian culture is intact and Western knowhow is harnessed for economic growth and prosperity for its citizens and is where China would like to be in the future. In 2013, when Xi Jinping first proposed creating the Asian Infrastructure Investment Bank (AIIB), Washington was against it and campaigned rigorously to persuade potential donor countries not to participate. The US expressed concerns that the AIIB would undermine the World Bank, and the Asian Development Bank (ADB), which operate in Asia and lend to China. Washington also believed that the AIIB would unfairly benefit Chinese companies and argued that China would not adhere to international banking standards of transparency and accountability. Today, the AIIB is up and running as a medium-sized regional development bank with capital of US$100bn and lending at around US$4bn. It is broadly comparable with other development banks and Washington’s concerns appear unfounded. An important role of the AIIB is to assist the B&R initiative to open up and create new markets for Chinese goods and services, to stimulate exports and to provide low-wage locations, to which China can migrate its light manufacturing industries. Beijing no longer sees its country’s economy as competitive on the basis of low wages. China’s labour costs are rising faster than gains in productivity and cost estimates of outsourcing production to China will soon be equal to the cost of manufacturing in the US and Western Europe. China is adjusting to rising real wages in its domestic markets by systematically migrating its low-tech industries to less-common low-wage production operations in new locations in Africa such as Ethiopia. A rationale for this strategy is provided in a 2017 paper from the Center for Global Development, which suggests that “Ethiopia could become the new China” as, “the cost of Ethiopian industrial labour is about 25% that of China today”. This suggests that migrating Chinese low-tech manufacturers might leap-frog middle and lower-middle income developing countries in favour of the poorest countries such as Ethiopia, which is included in China’s B&R initiative. African countries view B&R as a platform to promote global cooperation based on win-win strategies. Speaking at a conference in June 2018 in Addis Ababa, Tan Jian, the Chinese ambassador to Ethiopia said, "We are working closely with Ethiopia in advancing the Belt and Road Initiative. Ethiopia is a very important partner in this regard. We have been doing a lot of projects here in Ethiopia: infrastructure, policy dialogue, trade, financing and people-to-people exchanges.” At the same conference Afework Kassu, Ethiopia's Minister of Foreign Affairs, said, “the Belt and Road initiative is an advantage for African countries for infrastructure development and for economic growth”. Despite these good words, China's B&R initiative is not free of criticism mostly from Western nations and international institutions, which suggest Beijing’s motivation is a retrograde strategy that employs globalization to service its domestic economy, and many of the concerns are about China’s potential economic predominance. A March 2018 Center for Global Development (CGD) paper suggests that because China’s record of international debt financing is not good, and the B&R initiative follows China’s past practices for infrastructure financing, which entail lending to sovereign borrowers, then the initiative runs the risk of creating debt distress in some borrower nations. The paper identifies 8 of the 68 B&R borrower countries as “particularly at risk of debt distress”. Pakistan is the largest country at high risk with the development of its Gwadar deep-sea port, which is part of the B&R China-Pakistan Economic Corridor. China is financing about 80% of this endeavour, which is estimated to cost US$62bn. Other countries mentioned in the CGD paper to be at high-risk of debt distress from the R&D initiative include Djibouti, the Maldives, Laos, Mongolia, Montenegro, Tajikistan and Kyrgyzstan. The concern is that these at-risk nations could be left with significant debt ‘overhangs’, which could impede their ability to make essential future public investments and thereby challenge their economic growth more generally. Recently, public concerns from within China have been raised over the costs of the initiative. There is also concern that debt problems will create “an unfavourable degree of dependency” on China as a creditor. Several US Senators have expressed similar concerns and suggest that potential defaults could have a deleterious economic impact more generally. In addition to B&R loans, which have been questioned, it has been rumoured that Beijing has lent Venezuela US$60bn and also extended significant credit to Argentina. Venezuela is in economic meltdown and Argentina has applied to the IMF for a bailout. China’s increasing exposure as a significant creditor to economically weak developing nations is compounded by its mounting debt and triggers concerns about China’s future stability. A popular Washington view, endorsed by President Trump’s chief economic adviser Larry Kudlow, is that China’s mounting debt and slowing growth mean that its “economy is going south”, and the recent imposition of tariffs on Chinese exports to the US will accelerate the nation’s demise. However, there is a view that Washington’s imposition of punitive tariffs is an over-reaction because the Chinese economy is nowhere as strong as that of the US economy. Notwithstanding, China is an important trading partner for the US and American companies should find a way to engage with China. Since the 2008 financial crisis, China’s debt has been a concern in Beijing because it was a driver of the country’s economic growth. In 2016, Vice-Premier Liu He, President Xi’s top economic adviser, conscious of the potential national security risks of China’s mounting debt, took steps to de-risk the country’s financial sector. More recently, Liu has accelerated infrastructure investment and taken steps to avoid a banking crisis by ensuring that the renminbi does not fall too rapidly against the US dollar. Over the past 5 months the renminbi has weakened about 10% against the US$ and could weaken further if the currency becomes politicized. Despite Liu’s efforts to reign-in and control China’s debt, which some estimates put at about 260% of GDP, it is not altogether clear how successful these efforts will be especially if China’s debt challenges are considered in conjunction with its loose credit conditions. Putting aside these concerns, it is instructive to note that a 2017 study by Price Waterhouse Coopers (PwC), suggests, ceteris paribus, that within the next decade China’s economy will be bigger than America’s and within the next three decades India’s economy will overtake that of the US. The study argues that the US will rank 3rd in the world and in 4th place could be Indonesia. The study suggests that China will have an economy of US$59trn, while India’s will be around US$44trn and America’s will total $34trn. Significantly, Japan (US$6.7trn), Germany (US$6.1trn), the UK ($5.3trn) and France (US$4.7trn), key markets for Western MedTech companies, are expected to fall respectively to 8th, 9th, 10th and 12th in the list. They are expected to be replaced by Indonesia (US$10.5trn), Brazil (US$7.5trn), Russia (US$7.1trn), and Mexico (US$6.8trn), which climb to 4th, 5th 6th and 7th positions respectively. This signals some significant economic shifts likely to take place over the next two to three decades and underlines the importance of emerging economies in the medium-term strategic plans of Western companies. The world is on the cusp of some significant economic changes and the two nations most likely to affect those changes are the US and China. Beijing’s policies and global aspirations are helping China to step into a leadership void created by Washington’s current rejection of multilateralism. However, it is still not altogether clear whether China will be able to sustain this new position, and the uncertainty this causes presents a significant strategic dilemma for Western companies seeking growth outside their current markets in the developed world. China is too big to be ignored by Western companies, but China’s conditions for engagement are onerous and its long-term stability remains in doubt. Could adherence to history dent their futures? This is the first of two Commentaries on China. Despite only accounting for 3% of the global MedTech market share, China’s attraction is a US$14trn economy growing at some 7% per annum, a population of 1.42bn with a large, ageing middleclass with disposable incomes, rising healthcare consumption and Beijing’s commitment to increase healthcare expenditure to provide care for all its citizens from “cradle-to-grave”. All these factors drive China’s MedTech market and the certainty of its increasing demand. Despite this positive scenario, there are an increasing number of non-tariff barriers facing Western MedTech companies in China. This is because Beijing has launched extensive and aggressive initiatives to decrease China's dependence on Western medical devices and replace them with domestic offerings. Opportunities in China for Western players are shrinking and becoming tougher as Beijing’s new healthcare reforms kick-in and Chinese MedTech companies strengthen, increase their capacity, move up the value chain and take a bigger share of the domestic markets. To compete effectively in China, Western companies need to enhance their understanding of Beijing’s extensive healthcare reforms, increase their understanding of the complexities of China’s new procurement processes and be prepared to localize their value chains. This Commentary is divided it into 2 parts. Part 1: China an ‘el Dorado’ for Western MedTech companies describes the significant commercial benefits derived by some Western companies who, for the past two decades, have supplied high-end medical devices to the Chinese market and benefitted from: (i) Beijing’s commitment to extend healthcare to all citizens, (ii) the country’s vast, rapidly growing and underserved middleclass and (iii) China’s large and aging population with escalating chronic lifetime diseases. These market drivers have profited Western companies because domestic Chinese MedTech enterprises had neither the capacity nor the knowhow to produce high-end medical devices. This gave rise to a bifurcated MedTech market with domestic Chinese companies producing low-end offerings and Western companies supplying high-end products. Part 2: China the end of the ‘el Dorado’ for Western MedTech Companies suggests that commercial opportunities in China for Western MedTech companies have shrunk significantly and become much tougher as domestic manufacturers, incentivized by Beijing, move up the value chain and capture a bigger share of the domestic market. We describe Made in China 2025 (MIC2025), which is a well-resourced government initiative aimed at decreasing China’s dependence on Western MedTech suppliers by enhancing the capacity and scale of Chinese companies. This, together with China’s current 5-year economic plan aimed at a “healthier China” and its 2009 healthcare reforms are already significantly effecting some segments of MedTech markets previously dominated by Western companies. The attraction of China’s healthcare market to Western investors over the past decade is easy to comprehend. In 2013 China surpassed Japan to become the world’s second-largest healthcare market outside the US and the fastest growing of all large emerging markets. Healthcare spending is projected to grow from US$854bn in 2016 to US$1trn in 2020. In 2016, China’s healthcare expenditure as a proportion of its GDP was 6.32%, up from 4.4% in 2006, and this is expected to rise to between 6.5 and 7% by 2020. Although this is a lower percentage than that of the US with 17%, Germany with 11%, Canada, Japan and the UK with about 10%; it suggests that China’s healthcare market has a substantial upside potential; especially as the country’s middleclass grows and becomes economically stronger and Beijing’s healthcare reforms kick-in. The attraction of China’s MedTech market to Western investors also is easy to understand. It is one of the fastest growing market sectors, which has maintained double-digit growth for over a decade. In 2016 China’s MedTech market was valued at US$54bn, an increase of 20% compared to 2015; 72% of which was fuelled by hospital procurements. In 2017 China imported more than US$20bn worth of high-end medical devices the overwhelming majority of which was supplied by Western companies. Three China market variables making for highly valued Western MedTech businesses include: (i) the country’s vast, rapidly growing and underserved middleclass, (ii) China’s large and aging population with escalating chronic lifetime diseases and (iii) Beijing’s commitment to extend healthcare to all of its citizens. China’s past rapid economic growth lifted hundreds of millions of its citizens out of poverty and into the middleclass. As China’s middleclass has grown, its healthcare market has expanded and the opportunities for Western MedTech companies have increased. This partly offsets slower demand experienced by Western MedTech companies after 2009 when middleclass consumers in developed countries were challenged by the shocks to their living standards caused by the 2008 recession and subsequent lower global economic growth. Since 2015, Chinese middleclass consumers have become a significant driver of the country’s economic activity and are projected to remain so through at least 2025. Since 2000, annual real GDP growth per capita has averaged 8.9% while real personal disposable income on average has risen 9.2%. According to Credit Suisse’s Global Wealth Report, in 2015 China overtook the US as the country with the biggest middleclass, which is comprised of some 109m adults compared with 92m in the US. Today, the Chinese middleclass is facing more lifestyle related diseases, whilst expecting more and better healthcare. By 2025, China’s middleclass is projected to reach 600m and have an annual disposable income between US$10,000 and US$35,000. Further, compared to the US and the UK, China’s middleclass has a low level of household debt. China’s household debt-to-GDP ratio is 40% compared with 87% for that of the US and UK. This suggests that consumer led growth in China still has a significant upside. However, there are cultural obstacles to Chinese citizens assuming more personal debt. China has a population of 1.42bn and each year Chinese citizens give birth to some 20m. In January 2016 China lifted its 40-year-old one-child policy, which is expected to increase the country’s birth rate and increase the demand for in-vitro fertilization among older parents. Notwithstanding, partly because of the country’s falling fertility rates and partly the increasing life expectancy of the elderly share of the country’s population (In 2017 total life expectancy was 76.5), the number of elderly Chinese citizens has been increasing. According to China’s Office of the National Working Commission on Aging, in 2017 the number of its citizens aged 60 or above had reached 241m, accounting for some 17% of the total population and this is expected to peak at 487m, or 35%, around 2050, when it is projected that China will have 100m citizens over 80. This is significant because elderly people have a higher incidence of disease, demand more frequent, longer and more complicated treatment regimens and use medical services more often than their younger counterparts. For example, China’s ageing population is fuelling the rise in demand for orthopaedic devices. Projections suggest that over the next decade China could become the world’s largest orthopaedic device market. As the Chinese population continues to age, demand for healthcare services and medical devices are expected to increase substantially. Notwithstanding, a ‘dependent’ large growing and aging population has a significant economic downside. Further, the 600m Chinese citizens of prime earning age tend to live in large urban centres. China has some 662 cities; 6 of which are mega cities with populations of about 10m. 160 Chinese cities have populations in excess of 1m. Increased urbanization, changing diets and lifestyles and increased air pollution and other environmental hazards are causing a substantial rise in the prevalence of chronic lifetime diseases. It is estimated that 330m Chinese citizens currently have chronic diseases. According to a 2018 study almost 100m adults (8.6%) have chronic obstructive pulmonary disease (COPD), about 110m have diabetes and more than 80m Chinese citizens are handicapped. Altogether this creates a vast and growing demand for various high-end medical devices. The share of healthcare expenses covered by the government is expected to increase from 30% in 2010 to 40% in 2020, but current regional differences in access to and quality of healthcare are expected to remain in the near term. China’s current economic plan, which was approved in 2015 and adopted in 2016 is responsible for a number of well-funded and aggressive healthcare reform programs, and increased investment in healthcare infrastructure. The plan also encourages private capital investment to improve service quality and meet the public’s diverse, complex and escalating healthcare needs. These three healthcare drivers have significantly benefitted Western MedTech companies who leveraged their pre-existing products and business models and served China’s fast growing and underserved high-end MedTech markets with sophisticated medical devices. Chinese domestic MedTech companies, which today are comprised of about 16,000 small-to-medium sized light manufacturing enterprises on China’s east coast, participated in the low end of the global value chain and mostly produced Class I and II cheap disposable medical devices, which required simple forms of manufacturing or assembly, but created large numbers of jobs and made a significant contribution to poverty reduction. This mutual dependence gave rise to a bifurcated market and reflected the type of foreign direct investment that China attracted at the time and the relative lack of capacity of the domestic labour force. The foreign sourced market segment has been served historically by large, well-resourced Western MedTech companies such as Medtronic, General Electric (GE), Philips, Siemens, Zimmer Biomet and DePuy Synthes. Before 2009, such companies enjoyed a near monopoly supplying their pre-existing high-end medical devices to large Chinese hospitals (see below). US MedTech companies were the #1 foreign supplier of such offerings, followed by Germany and Japan. These 3 countries represented the overwhelming majority share of China’s imports of medical devices. Between 2003 and 2009 foreign direct investment in China’s MedTech sector was concentrated in low-value-added activities. This pattern reversed during 2010-2018 and enabled Chinese MedTech companies to move up the value chain and develop more sophisticated manufacturing processes, increase their R&D capacity, enhance their post-market services and begin to penetrate more segments of the higher-value-added Class lll MedTech markets. As this happened so the predominance of Western MedTech companies providing high-end product offerings was reduced. This shift suggests that late entrants to the China market may struggle. A 2017 survey conducted by China’s New Center for Structural Economics, covering 640 Chinese export-oriented labour-intensive companies across four sectors between 2005 and 2015 suggests that upgrading low-tech industries is pervasive throughout China. “’Technology upgrading’ was the firms’ most common response to their challenges: 31% of firms ranking it top and 54% in their top three responses. Tighter cost control over inputs and in production was next (top for 27% of firms) and changing product lines or expanding markets was third most common (24%)”, says the report. To-date domestic Chinese MedTech companies have captured about 10% of the technologically intensive segments of endoscopy and minimally invasive surgery as measured by value, and 50% of the market in patient monitoring devices and orthopaedic implants. Only 5 years ago Western companies such as Zimmer Biomet and DePuy Synthes controlled 80% of the Chinese high-end orthopaedic market segments. Further, about 80% of China’s market of drug-eluting stents, (medical devices placed into narrowed, diseased peripheral or coronary arteries, which slowly release a drug to block cell proliferation), which is another relatively high-end therapeutic device segment, is controlled by Biosensors International, Lepu Medical, and MicroPort. These three Chinese companies market drug-eluting stents, on average, for about 40% less than their Western counterparts. Just over a decade ago 90% of this market was controlled by Western MedTech companies. Similarly, Chinese companies have increased their domestic market share of digital X-ray technologies to 50%. In 2004 they had zero share of this market. In May 2015, Beijing launched “Made in China 2025” (MIC2025), which is a national strategy to enhance China’s competitive advantage in manufacturing. Increasing competition from developing nations with similarly competitive costs, coupled with technology-driven efficiency gains in developed countries, means that China’s abundance of cheap labour and the competitive advantage of its infrastructure will soon be insufficient to drive sustainable economic growth. MIC25 is expected to redress this by comprehensively upgrading, consolidating and rebalancing China’s manufacturing industry, and turning China into a global manufacturing power able to influence global standards, supply chains and drive global innovation. The strategy names 10 sectors, including medical devices, which qualify for special attention to help boost the country’s goal of accelerating innovation and improving the quality of products and services. The initiative incentivizes domestic Chinese companies, including SMEs, to increase their usage of artificial intelligence and digital technologies to move up the value chain and capture a greater market share from their Western counterparts. MIC2025 is explicit about China reducing its reliance on Western imports and includes subsidies, loans and bonds to support and encourage domestic companies to: (i) continue increasing their capacity, (ii) devise lean business models that emphasize “affordability”, (iii) increase their R&D, (iv) expand their franchises overseas, and (v) acquire foreign enterprises with cutting-edge technologies. The initiative also addresses issues of quality, consistency of output, safety and environmental protection, which are all considered strategic challenges to China’s development. Beijing expects MIC2025 to increase the market share of Chinese-produced medical devices in the country’s hospitals to 50% by 2020 and 70% by 2025, enable Chinese companies to compete with Western MedTech giants by 2035 and make China a world MedTech leader by “New China’s” 100th birthday in 2049. The initiative is expected to quickly spread beyond China’s borders as its leading manufacturers seek to develop global supply chains and to access new markets. MIC25 is important for the next stage of China’s emergence as an economic superpower and its ambition to design and make the products of the future required not only by the Chinese consumer, but consumers around the world. While many Western countries are debating how to respond to MIC25 Washington sees the initiative as a well-defined, well-orchestrated strategy, which is “unfair and coercive” because it includes government subsidies and the “forced transfer” of technology and IP to enable the Chinese to “catch-up and surpass” American technological leadership in advanced industries. An August 2018 US Council for Foreign Relations response says, “MIC25 relies on discriminatory treatment of foreign investment, forced technology transfers, intellectual property theft, and cyber espionage”. In June 2018 Washington sought to halt the policy by levying punitive tariffs on Chinese imports into the US and blocking Chinese-backed acquisitions of American technology companies. It is not altogether clear how successful Washington’s punitive tariffs will be because they could unsettle the US medical supply industry given that a growing number of product offerings marketed in the US are made in China. MRIs, pacemakers, sonograms and other medical devices manufactured in China and imported into the US are all included in the list of items subject to the increased US tariffs. Some estimates suggest that the tariffs will cost the American medical device industry more than US$138m in 2018, and about US$1.5bn every year there after. According to AdvaMed, the US enjoys a trade surplus with China for medical products and rather than grow US productivity, the tariffs could result in less trade and a smaller surplus in medical devices. Whilst protectionist, the MIC25 initiative is permitted under World Trade Organization rules as China is not a signatory to the Agreement on Government Procurement, which covers state run hospitals. Further, historically healthcare products have been excluded from tariffs on humanitarian grounds and because they are seen as an asset to public health. Although Beijing is seeking to reduce its dependence on imported medical devices, it has not shut-out Western companies who are expected to continue to be significant high-tech market players in the short to medium term. This is because such international trade is crucial to facilitate China’s access to global knowhow and technology. But Beijing has amended its procurement and reimbursement policies to incentivise hospitals to purchase domestically manufactured medical devices and introduced tough conditions on companies seeking to do business in China. To qualify for inclusion in China’s new hospital procurement arrangements Western companies are obliged to localize their value chains and partner with domestic enterprises. Some companies have done so, while others have been reluctant to localize their value chains because of China’s weak record of IP protection. Beijing is aware of this and is streamlining and strengthening its IP prosecution system (see below). Importers who choose not to localize their value chains face a number of significant non-tariff barriers. Unlike other Asian countries such as Japan, China has no national standard for tendering and bidding and there are significant differences between its 34 provincial administrations and 5 automatous regions. Further, China has a dearth of large ‘general’ distributors. Western MedTech companies importing product offerings into China are obliged to engage small-scale distributors dedicated to one sector, one imported brand and one type of product. Such distributors are ill-equipped to effectively navigate China’s vast hospital sector (see below) and its complex, rapidly changing and disaggregated procurement and reimbursement processes. A clash of sales cultures is a further disadvantage for Western MedTech companies’ whose marketing mindset is product-centric territory driven, while winning sales strategies in China and in other emerging markets are customer-centric key-account driven. One dimension of the challenges faced by Western MedTech companies who are obliged to engage small-scale distributors is the enormity of China’s hospital sector. China has about 30,000 hospitals, which have increased from about 18,700 in 2005, serving a population four and a half times that of the US across a similar land mass. By comparison, the US has some 15,500 hospitals and England 168 NHS hospitals. About 26,000 hospitals in China are public and some 4,000 are private. Although public hospitals in China provide the overwhelming majority of healthcare services, this is changing. Recently, Beijing has loosened its regulations and private sector healthcare has witnessed an influx of private capital. Over the next decade, China’s private healthcare sector is expected to see new hospital chains, expansion of existing hospitals and improvements in a range of private healthcare services. Currently, Western participation in the Chinese private healthcare market is nascent but expected to grow over the next decade. China’s hospitals provide about 5.3m beds, compared with about 890,000 in the US and 142,000 NHS beds in the UK. Chinese public hospitals, which are the biggest consumers of Western medical devices, are categorized into 3 tiers according to their size and capabilities. The largest are tier-3 hospitals of which there are about 7,000. These are 500-bed-plus national, provincial or big city hospitals, which provide comprehensive healthcare services for multiple regions as well as being centres of excellence for medical education and research. There are about 1,500 tier-2 hospitals, which are medium size city, county or district hospitals. Together teir-2 and 3 hospitals represent about 3.5m acute beds. Tier-1 hospitals are township-based and do not provide acute services. There is a range of specialist hospitals, which are also significant users of imported high-end medical devices. Further, Beijing is beginning to develop primary care facilities, which are normal in North America and Europe, but underdeveloped in China. Healthcare in China has traditionally been the monopoly of the central government. However, Beijing’s recent relaxation of the rules on private investment referred to above has triggered an explosion in the number of private healthcare facilities and the development of mega hospitals on a scale not seen elsewhere in the world. For example, Zhengzhou Hospital, which is nearly 700km south of Beijing and can be reached by bullet train in under 3 hours at a cost of about US$45, was officially opened in 2016 and was dubbed the “largest hospital in the universe”. Zhengzhou is a mega-city with a population of 10m and is the capital of east-central China's Henan province. The hospital has some 10,000 beds, facilities are spread across several buildings and over 28 floors and it has its own fire department and police station. In 2015, the hospital admitted some 350,000 inpatients and treated 4.8m people. In one day in February 2015 the hospital received 20,000 out-patients. Most noticeable among the changes taking place in China’s procurement processes for domestically produced medical devices is the development of centralized e-commerce facilities, which are expected to increase efficiency and reduce spiralling hospital costs. The initiative is a partnership, announced in 2018, between IDS Medical Systems and Tencent’s digital healthcare subsidiary WeDoctor, to establish China’s first smart medical supply chain solutions and procurement company, which in the near term, is expected to dominate the Chinese market by becoming the “Amazon of healthcare”. Tencent is the world’s 6th largest social media and investment company and IDS Medical Systems is a Hong Kong based medical supply company with an extensive Asia-Pacific distribution network, which represents over 200 global medical brands in medical devices and consumables. WeDoctor, was founded in 2010 to provide online physician appointment bookings, which is an issue in China and patients often stand in-line for hours from 2 and 3 in the morning outside hospitals to get brief appointments with physicians. From this modest beginning WeDoctor has rapidly evolved into a US$5.5bn company, which employs big data, artificial intelligence and other digital tools to deliver cutting-edge healthcare solutions and support services to over 2,700 Chinese hospitals, 240,000 doctors, 15,000 pharmacies and 160m platform users; and these numbers are expected to increase significantly in the next few years. Underpinning WeDoctor’s business model and differentiating it from Western endeavours such as Google’s DeepMind, is the freedom in China to collect and use patient data on a scale unparalleled in the West. WeDoctor is designed to leverage Tencent’s significant complementary strengths, innovative resources and networks in order to centralize device procurement by connecting domestic MedTech companies with China’s vast hospital network. WeDoctor’s ability to manage petabytes of patient data, its knowledge of and favoured position in China’s hospital procurement processes, its rapid and sophisticated distribution capacity and central government support, positions WeDoctor to have a significant impact on the procurement of medical devices in China and beyond in the next five years, and this is expected to provide domestic companies with a further competitive edge. Manufacturing in China has been an option only for larger Western MedTech companies with the necessary management knowhow, business networks and finance to bear the costs. Companies which have localized their value chains and support the MIC25 initiative include Medtronic and GE Healthcare. Medtronic, the world’s largest MedTech company, has had a presence in China for the past 2 decades and has established local R&D facilities to design products specifically for the needs of the Chinese market and crafted partnerships with provincial governments to help educate patients about under-served therapeutic areas. In 2012 Medtronic acquired Kanghui Medical, for US$816m. In December 2017 the Chinese government approved sales of a new pacemaker, which is the product of a strategic partnership between Medtronic and Lifetech Scientific Corporation. In January 2012 Medtronic paid US$46.6m for a 19% stake in Lifetech and a further US$19.6m for a convertible loan note. The agreement called for LifeTech to develop a line of pacemakers and leads using its manufacturing plant in Shenzhen, (population 13m). Medtronic supplied “technology, training and support” and LifeTech provided local market expertise, brand recognition and growth potential within China. The alliance has made Lifetech the first Chinese domestic manufacturer with an implantable cardiac pacing system with world-class technology and features. In 2015 Medtronic entered into a partnership with the Chengdu’s (population 14.4m) municipal government in the south west of China to enable people with diabetes in Chengdu and the broader Sichuan province (population 87m) to access a new, locally produced next generation sensor augmented pump system with Medtronic’s SmartGuard technology and software displayed in the Chinese language. Medtronic’s 2017 revenues from its China operations amounted to US$1.6bn, 5% of total revenues, and US$3.4bn from other Asia-Pacific countries, 12% of total revenues. GE Healthcare is the largest medical device manufacturer in China and China is a key manufacturing base for GE. GE started conducting business in China in 1906 and today has over 20,000 employees across 40 cities in the country. One third of GE's ultrasound probes, half of its MRIs and two thirds of its CT scanners, which are marketed globally are manufactured in the Chinese cities of Wuxi, Tianjin and Beijing respectively. These devices and others are now subject to a punitive US tariff levied in June 2018. “We remain concerned that these tariffs could make it harder for US manufacturers to compete in the global economy, and will shrink rather than expand US exports,” says Kelly Sousa, a GE Healthcare spokesperson. Rachel Duan, president and CEO of GE China explains that, “GE China has been investing in people, processes and technologies throughout the value chain so that it can design, manufacture and service products closer to customers. This goes beyond market and sales localization, to product R&D, manufacturing and product services." GE has pinpointed localization, partnership, and digitization as the three key initiatives to drive its future development in China. In May 2017 GE opened an Advanced Manufacturing Technology Center in Tianjin, its first outside the US, and has partnered with over 30 Chinese engineering, procurement and construction (EPC) companies. "With a global footprint and depth of localized capabilities in China, we are partnering with customers and helping them win both in China and worldwide by connecting machines, software, and data analytics to unlock industrial productivity," says Duan. Medtronic and GE Healthcare provide object lessons of how best Western MedTech companies might leverage commercial opportunities in China. But many remain reluctant to manufacture in China because historically the country’s legal system has been weak in prosecuting IP infringements and more recently they have been further handicapped by Washington’s response to MIC25. For many years, when dealing with China, Western companies have faced a combination of IP challenges, which included litigation with low level damages, an inability to effectively enforce judgments, an inability to patent certain subject matter and a lack of transparency on legal issues. This amounts to substantial disincentives for Western companies to localize their value chain in China. However, the country’s IP environment is changing. In 2017 Beijing spent some US$29bn for the rights to use foreign technology, with the amount paid to US companies increased by 14% year-on-year. China’s IP legal system is maturing and has improved in the scope of allowable patent subject matter to enhancements of litigation options. However, Western reluctance to localize production in China is not only influenced by the country’s weak IP protection and recent trade tensions with the US, but also by ethical concerns and the perceived need for more predictable rules and institutions about environmental and regulatory issues. All this, together with two decades of growth in developed nations and the continued performance of the US stock market might be enough for some MedTech companies to turn-away from China, but could such a reaction dent their futures? This Commentary describes some of the near-term challenges facing Western MedTech companies looking to offset increasing challenges in their home markets by extending their franchises in China. We have suggested why operationalizing this strategy in the short term will be tougher than 5 years ago, especially if Western MedTech companies are reluctant to innovate and transform their strategies and business models. China presents a challenging dilemma for Western companies: either they manufacture in China and support that nation’s endeavours to become a world class manufacturing platform or they progressively get squeezed out of markets. Whatever Western companies decide, we can be sure that their near to medium term futures will be shaped by maturing developed world markets, encumbered by short termism and aging infrastructures and a rising Chinese economic power with state-of-the-art infrastructures and significantly enhanced capacities and capabilities. But how long can China sustain its rise?